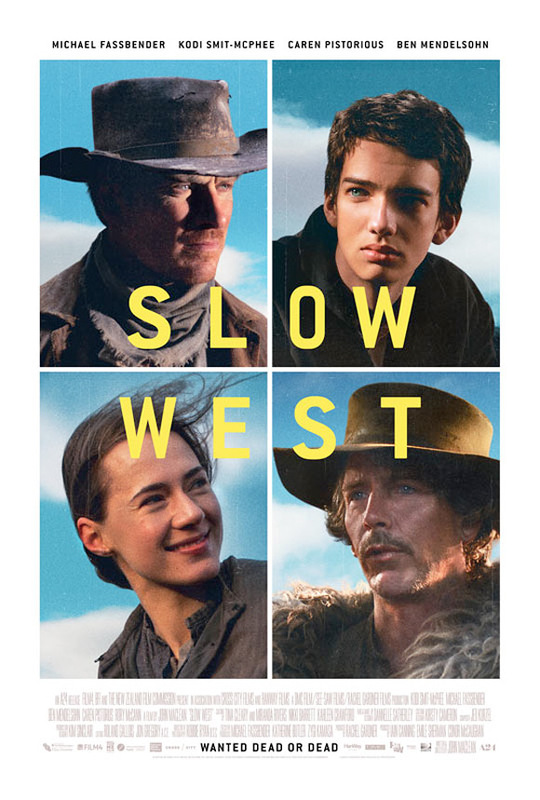 Above - first poster via IMPAwards for A24's release of John Maclean's Slow West in theaters this summer. Slow West is written and directed by John Maclean, former member of the music group Beta Band. 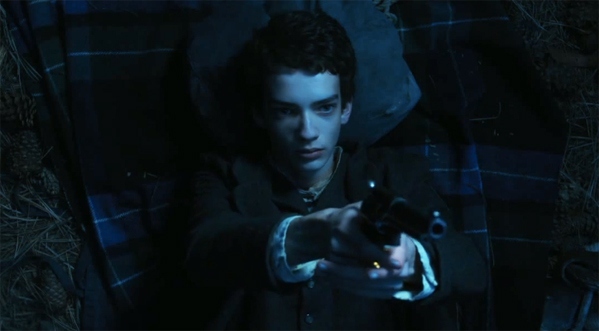 The film follows a teenage boy Kodi Smit-McPhee) on a journey across 19th century frontier America in search of the woman he loves, while accompanied by mysterious traveler Silas (Michael Fassbender). Jay's journey is fraught with danger, double-crossing and violence as he comes to realize America is not easy on the innocent. Ben Mendelsohn also stars in the film which A24 will release in limited theaters starting on May 15th. For more info on the film, visit the official website at slowwestmovie.com or follow @A24 for updates. Now that's what I'd call a bad poster. What the hell's wrong with Smit-McPhee's face?? Good cast, good to see the Hound too. Yes. Yes. Yes, More Westerns for US!!! I don't particularly like Westerns, but I'd watch anything with Fassbender.